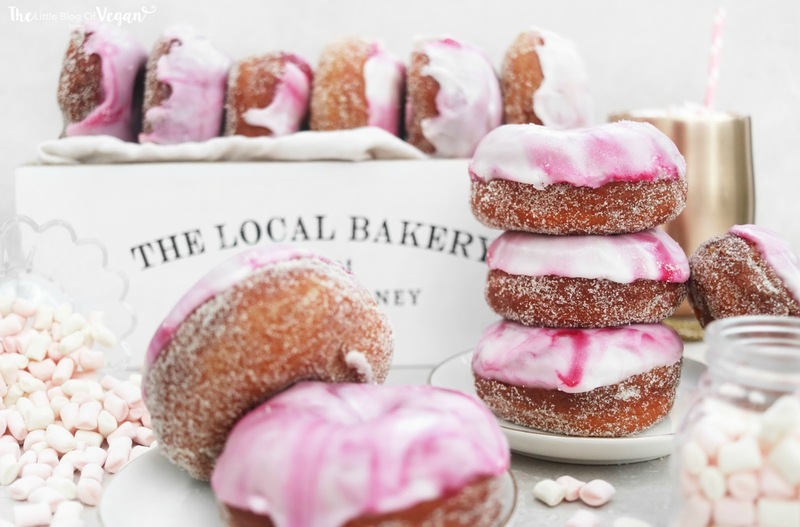 I'm super excited to share with you my delicious tasty with a delicious strawberry marble glaze. How pretty do they look?! They are 100% vegan and very moorish!!! 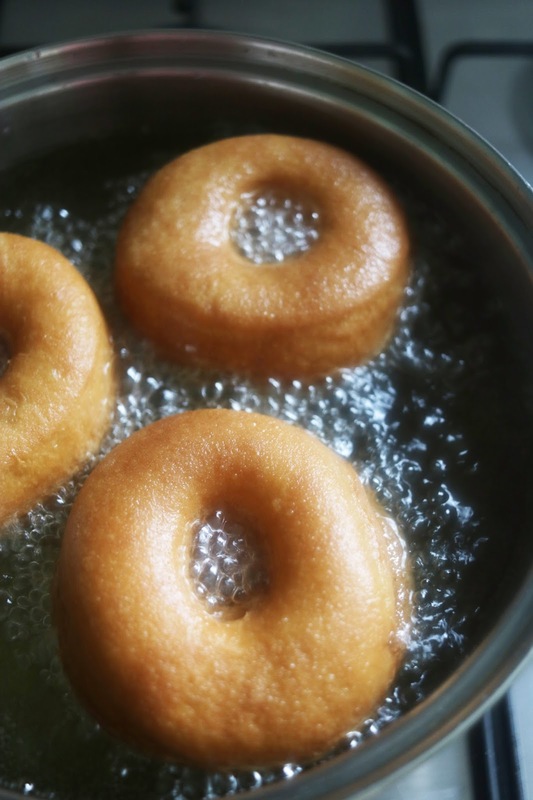 These doughnuts are light, fluffy and extremely irresistible! 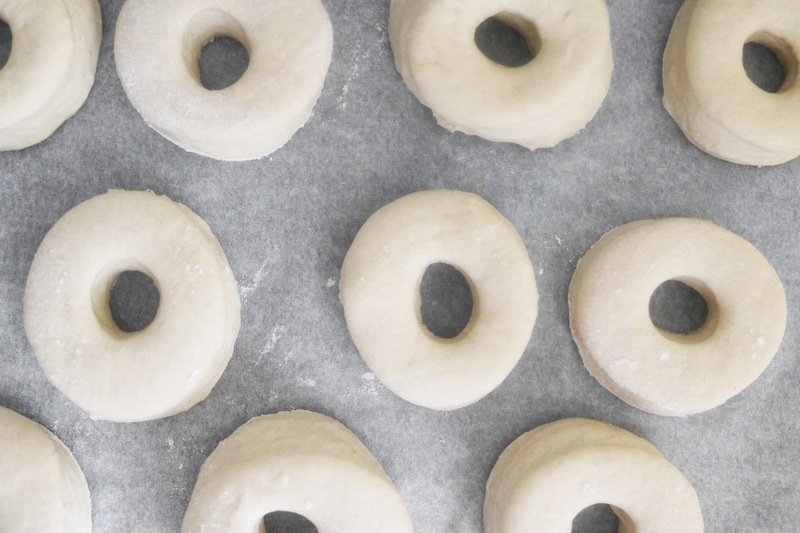 They'll become your favourite doughnut recipe, I'm sure of it! 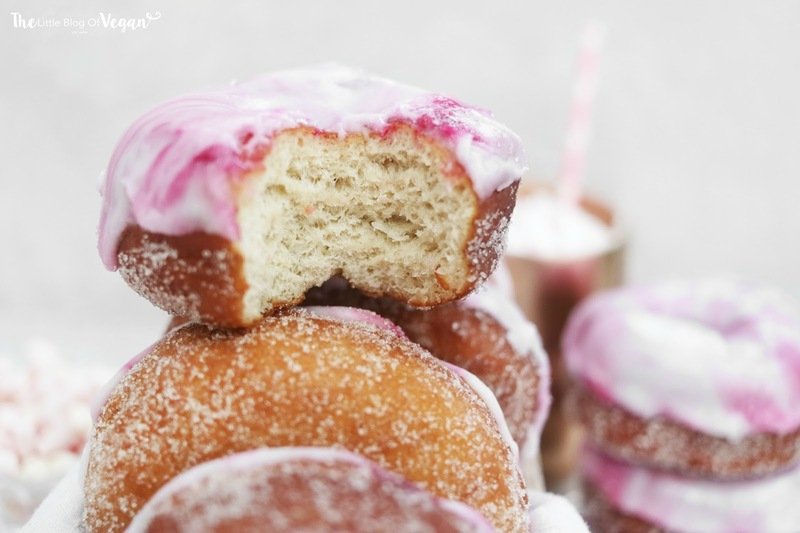 I know these doughnuts are not the healthiest, but for a special occasion or to enjoy in moderation, they are perfect! 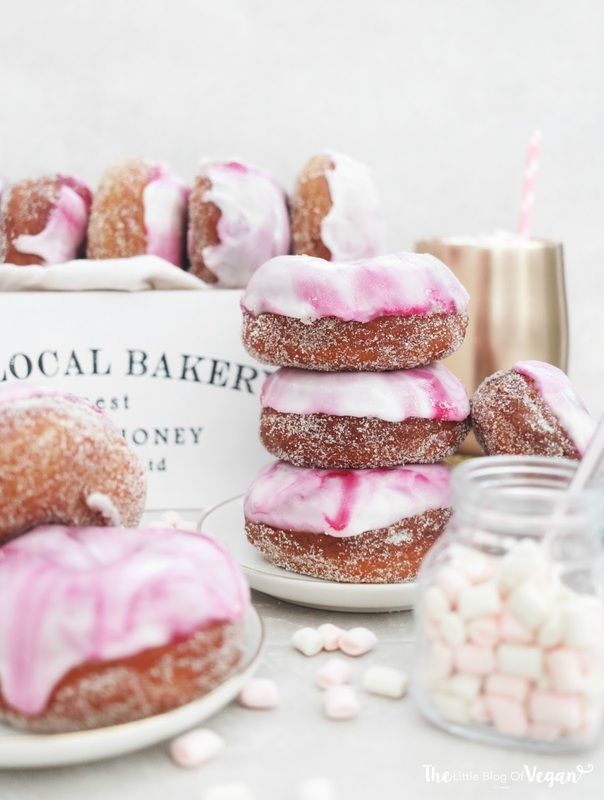 These doughnuts are in collaboration with Coconut Lane. Coconut lane is one of my favourite companies, they have some of the loveliest phone cases, laptop skins etc! 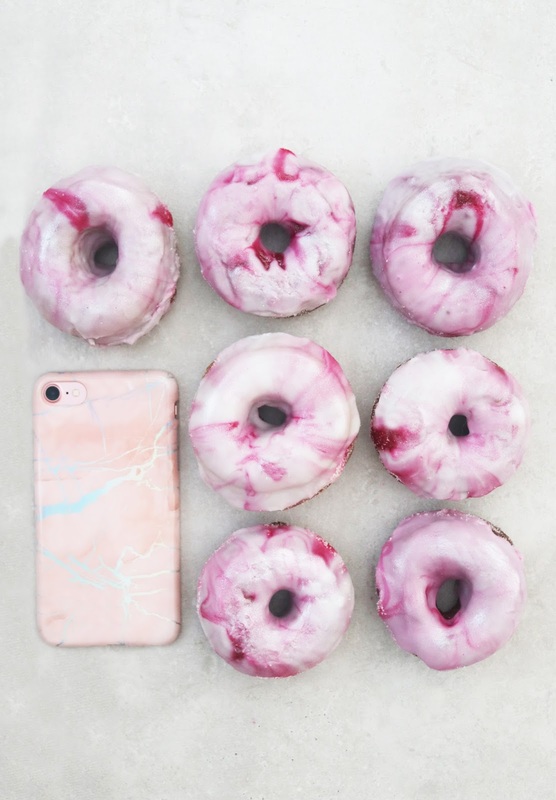 I designed the glaze to resemble their stunning new holographic marble pink phone case. 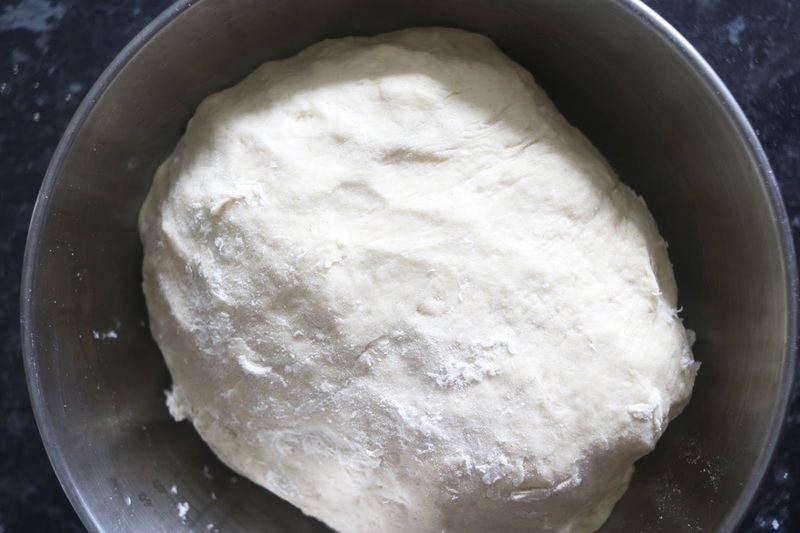 I've wanted to make some marble doughnuts for ages, and what better time!!! 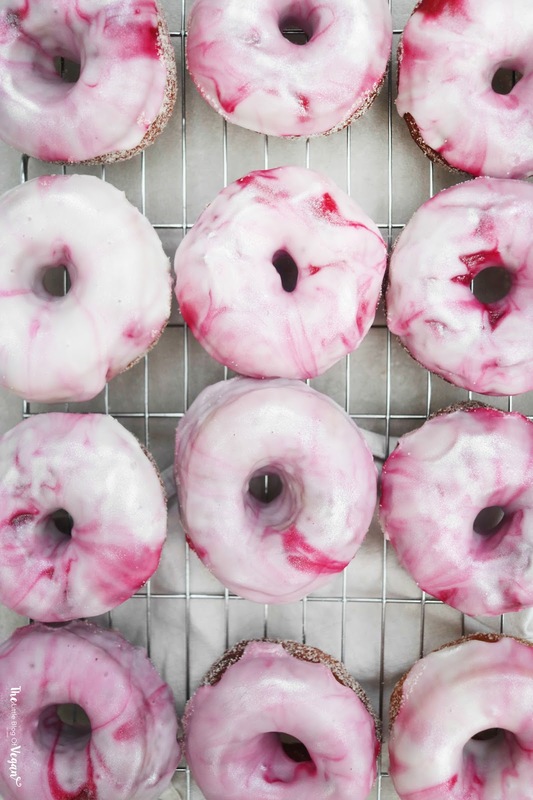 These doughnuts have a quick & simple glaze along with edible silver glitter to replicate the silver holographic design. I think they turned out great, and I hope you do too! They taste even better than they look...if that's even possible *drooling*. 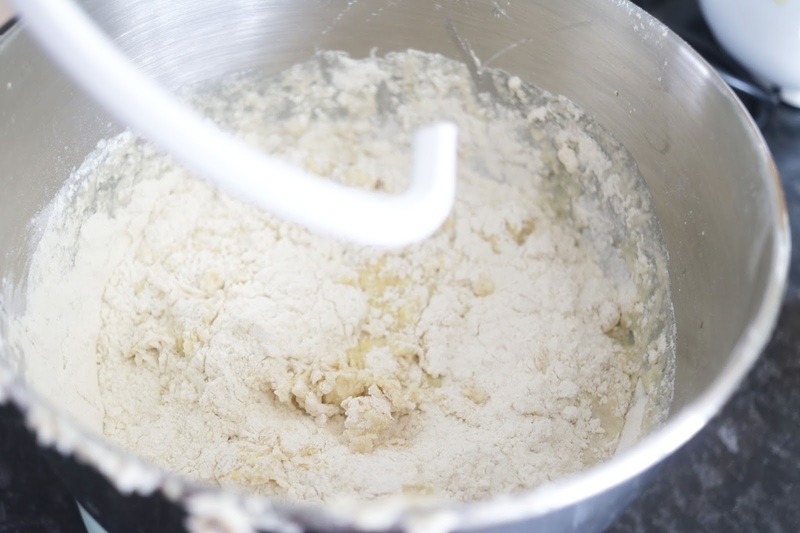 You could even fill them with jam, cream, custard...anything you like! 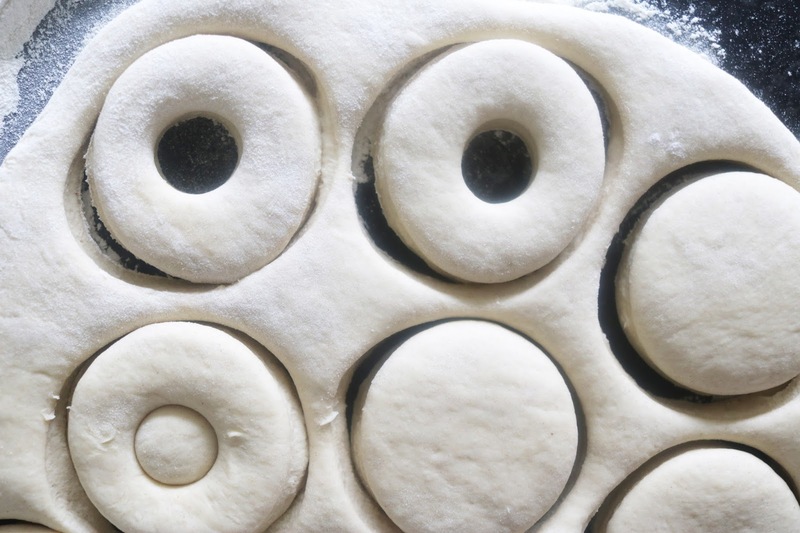 Step 8- Using a cookie cutter, cut out circles and place onto a lined baking tray, then cut out little circles inside to create a doughnut shape. 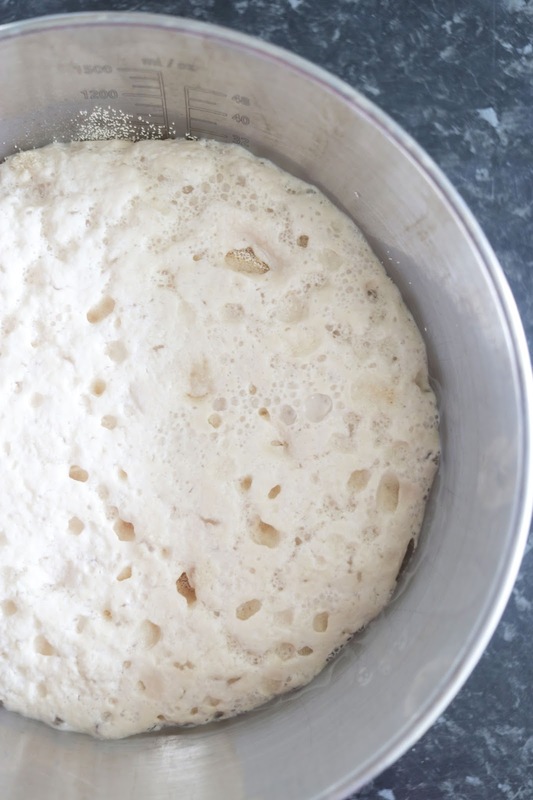 Allow them to cool before glazing. 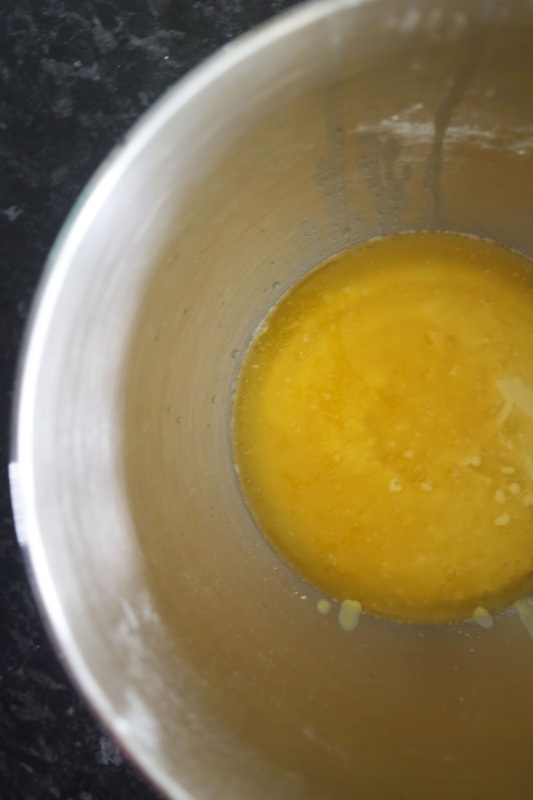 Step 1- Place the icing sugar into a mixing bowl and add in a drop of strawberry flavouring and enough milk to make a thick glaze consistency. 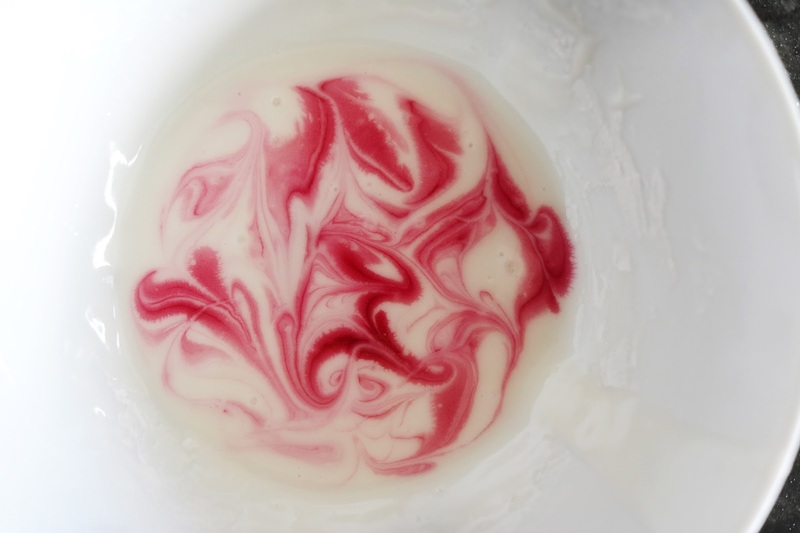 Step 2- Add dots of the pink food colouring into the white icing and using a skewer, swirl it around to make a marble effect (As in the photo below). 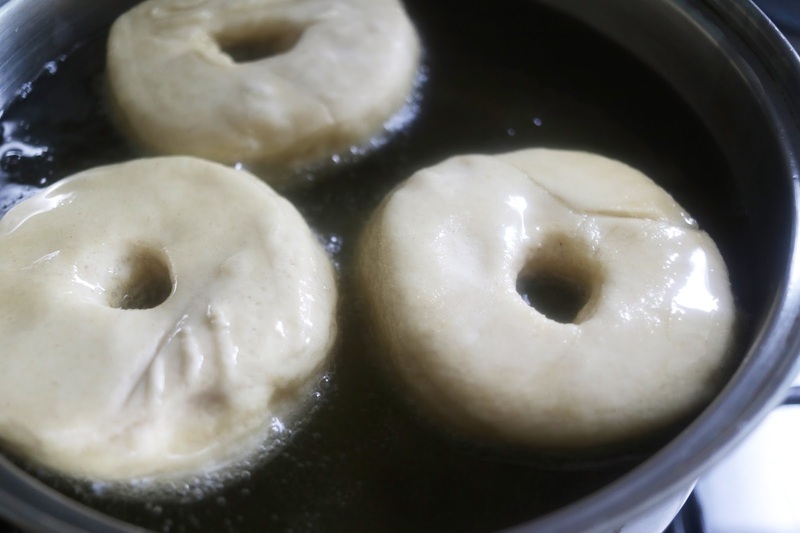 Step 3- Dunk each doughnut into the glaze, carefully remove and place aside to set. 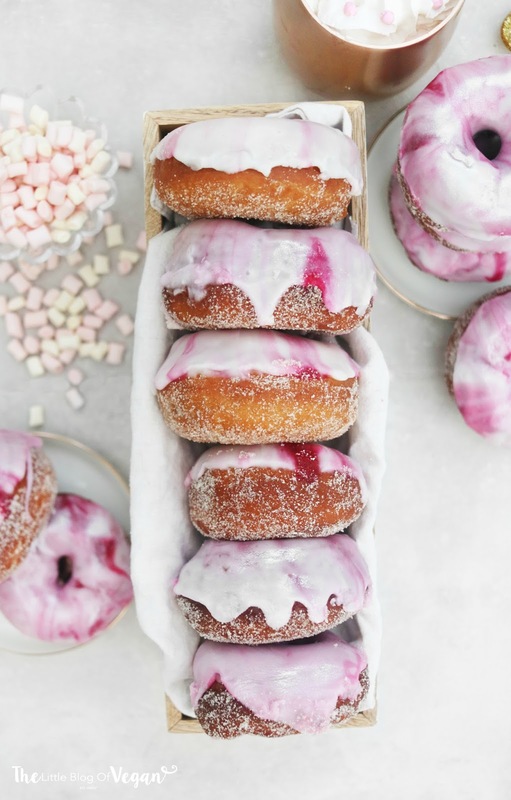 After each doughnut, add more drops if pink and swirl around.